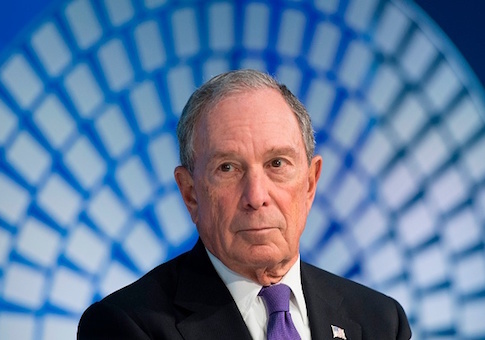 While the effort has many layers, in general it begins with Bloomberg's funding of a specialty school within New York University's School of Law, the State Energy & Environmental Impact Center. The Center's website states that part of their mission is to work "with interested attorneys general to identify and hire NYU Law Fellows who serve as special assistant attorneys general in state attorney general offices, focusing on clean energy, climate and environmental matters." However, the center also pays the salaries when the "special assistant attorneys general" (SAAG) are taken on at an attorney general's office (OAG). Horner's report suggests these efforts are at best unethical, and often times illegal. For example, Oregon law gives the attorney general wide latitude in hiring assistant attorneys, but the law also states that, "each assistant shall receive the salary fixed by the Attorney General, payable as other state salaries are paid." The legal analysis by the legislature's office of legal counsel obtained by the Washington Free Beacon determined that the SAAG working in the Oregon Department of Justice "is not receiving a salary fixed by the Attorney General, and his salary is not paid as other state salaries are paid. This arrangement does not comply with [Oregon Revised Statute] 180.140 (4)." In performing the analysis, the legislative counsel's office examined the employment contract for SAAG Steve Novick, and noticed that "the documents also require the DOJ and Mr. Novick to report to and collaborate with the [NYU] Center." "Although these duties may be minimal, they arguably prevent Mr. Novick from ‘devot[ing] the full time of the assistant to the business of the state' as required" by the same Oregon statute cited previously, the letter added. A similar situation may exist in New York, where 2 SAAGs have been hired, according to Horner's findings, and state law provides that the attorney general may appoint "attorneys as he may deem necessary and fix their compensation with the amounts appropriated therefor." The Free Beacon inquired with the New York Attorney General's office earlier this week about the legality of employing SAAGs funded by outside sources, and has not received a response. Emails previously obtained by Horner show that the Oregon DOJ struggled with the issues created by having a third-party source paying the SAAGs salary. "Are we sure it is correct to refer to him as a ‘volunteer.' And not an employee," Oregon Attorney General Ellen Rosenblum asked in an email to office colleagues. "Can you be an unpaid employee of the State? As a [Special Assistant Attorney General] doesn't that make one an employee? I find it strange to call someone who is working under our supervision with the title of SAAG and who is getting paid (by a third party) the same as he would if he were working for DOJ as a regular AAG—a volunteer." While the issue of whether one state employee is paid in the exact same manner as another may sound like a technicality to some, Horner suggested that it subverts the system of checks and balances in place to ensure public oversight of government behavior. "Of course, no legislature can waive the Constitution, and nothing on the books or, so far, imagined by Oregon's DoJ gets around the due process and separation of powers problems this scheme poses," Horner wrote in an email after reviewing the letter. "Now seems like an opportune moment to let the world in on their secret: where does Oregon's AG find the authority to allow wealthy donors to fund prosecutors to pursue issues of importance to the donor?" Horner continued. "If the Attorney General of Oregon in fact has the statutory authority to take in privately funded prosecutors, her DoJ has yet to reveal it." The situation also raises conflict-of-interest questions. "Is a National Right to Life chaired prosecutor for purposes of investigating abortion providers, or an NRA prosecutor for investigating opponents of the Second Amendment, also acceptable? If not, why not?" Horner asked. The Free Beacon reached out to several members of the Oregon State Legislature, only one of whom responded and said on background that elected officials were unlikely to comment immediately on the letter. The Oregon Department of Justice did not respond to a request for comment. A spokesman with the NYU Law School State Impact Center said they stood by a previous statement made to the Free Beacon in August. "We fundamentally disagree with the premise of CEI’s factually flawed report," the spokesman said at the time. "The State Impact Center operates within legal and ethical rules to assist state AGs through the substantial legal expertise of its leadership team on clean energy, climate and environmental laws and policies and through its fellows program in which state AG offices direct the day-to-day work of fellows."